Snow can give a lot of purpose and implication to a person, snow can mean that it’s time to have fun playing and making a snowman, a time to have that hot soup for the cold weather or to start a long stay at home for the seasons unfriendly climate. 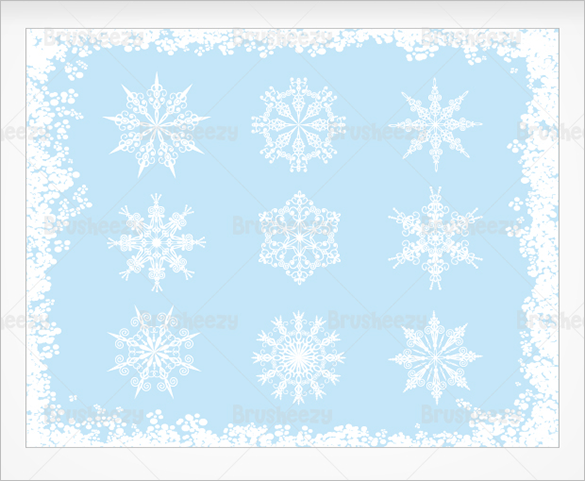 When you want to have that snowy appearance into your work, you can visit at photo shop template found in adobe or deviant art to have that snow brush available to you. You can also see Snowflake Templates. 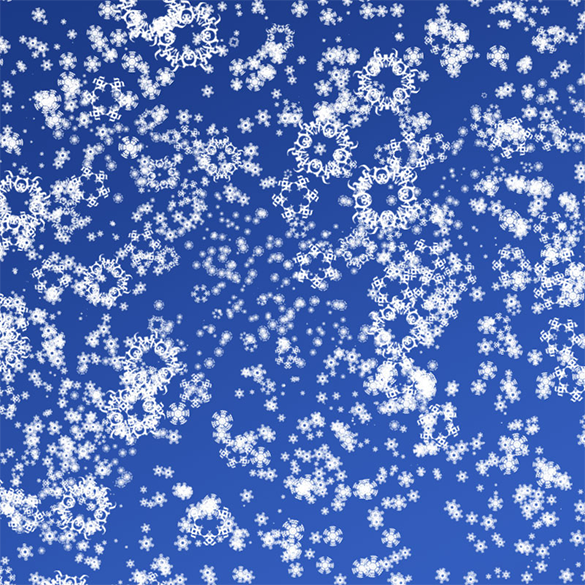 Want to give a snowy appearance to your design or graphic? 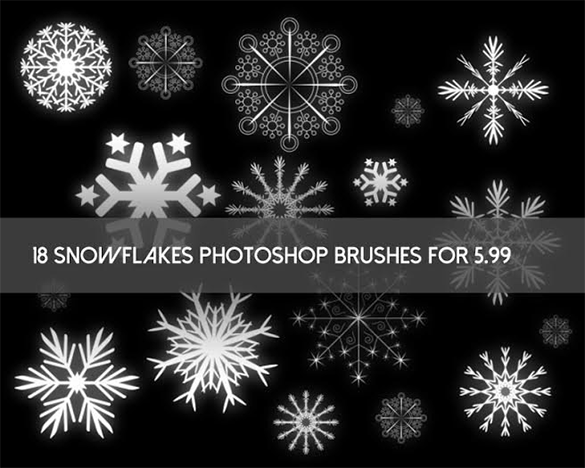 Here is the complete pack of 10+ premium snowflake Photoshop brushes designed especially to meet your design needs. This complete pack gives you a perfect option to add natural look and feel to your design. Here are you destination 35+ awesome snow brushes that you definitely love to use in your design projects to add snowy appearance. Such a design helps to get connected to natural very well. So try this pack and you will not need anything else. 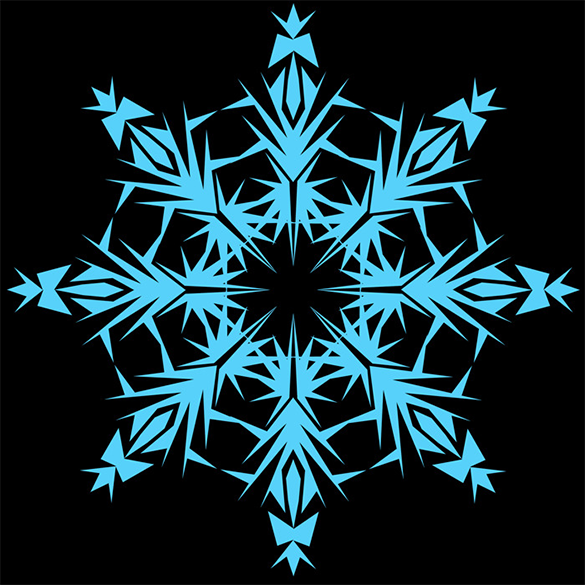 What to represent snowy winters in your next project? 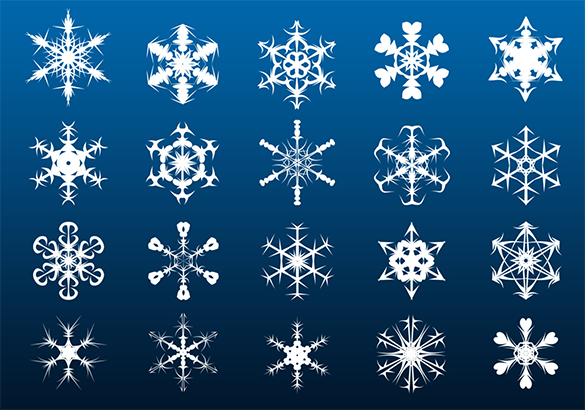 Here is the set of 30+ snow flake brushes designed especially for designers and creative professionals to make them create snowy appearance in their designs. 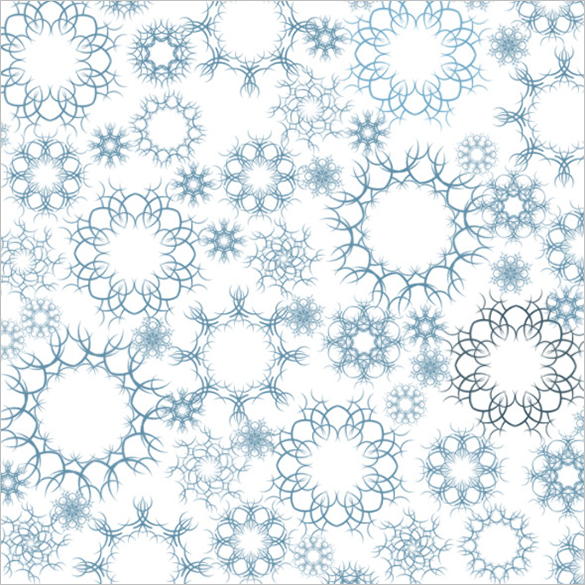 These hand drawn snowflakes are going to rock your project. 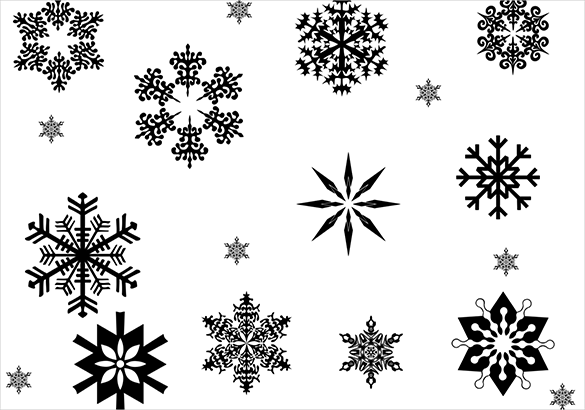 Here is the set of 12 free snowflake brushes based on Photoshop and designed for designers to accomplish their winter season based projects for giving a snowy look to a design. Download this whole pack online now. Available for free. 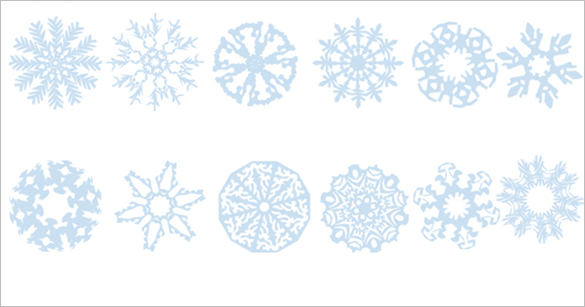 Are you in hunt of a suitable snowflake brush for your design project? 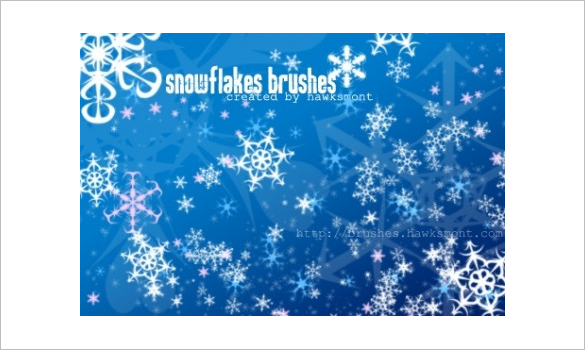 Here is the set of 60+ superb snowflake brushes online perfect for creating snowy graphics and design at the easiest. All brushes are of 2500px and are in Photoshop ABR file. Represent the beauty of winter and snow in your design projects with this set of 22+ unique and elegant free snow brushes made available to designers and creative artists to bring ease and natural beauty to their work. Download now. 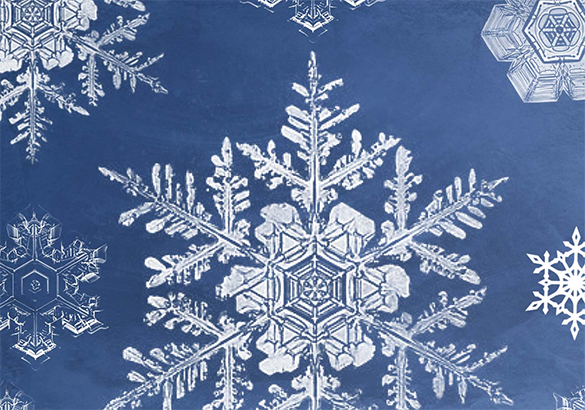 Download this complete set of 15+ Photoshop snowflake brushes designed to help you add snowy effects and appearance to your designs. 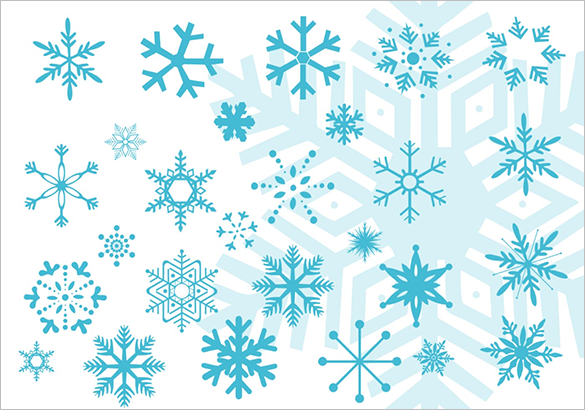 If you are designing a winter special card, Christmas themed graphic or similar then this pack is definitely going to help you. Go for these professional premium Photoshop snow brushes ideal for illustrators and graphic designers to give advanced snowy and winter based effects and textures to the design. This pack consists of 24+ brushes each with 1020px resolution. Get downloaded online today. 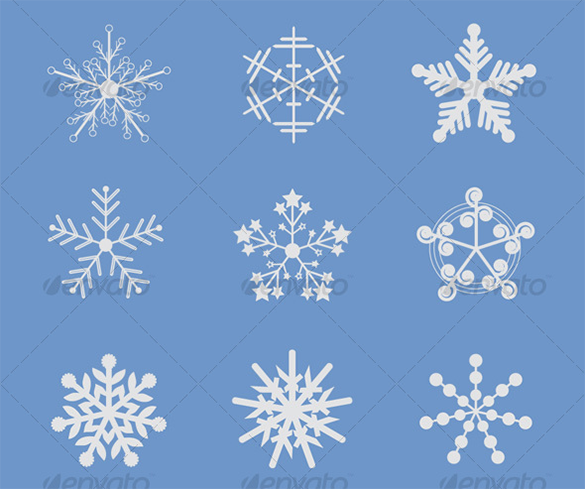 Go for this set of 18+ exciting and wonderful snowflake brushes ideal for graphic designers to give snowy look to their projects. These brushes can make your project look closer to nature and beauty. Download this brush pack online today. If you are in hunt of exotic snow brushes for your winter themed design project then this 30+ pack of astonishing premium snow brushes that will make your project a success. This is ideal for design which need snowy looks. Get downloaded online. 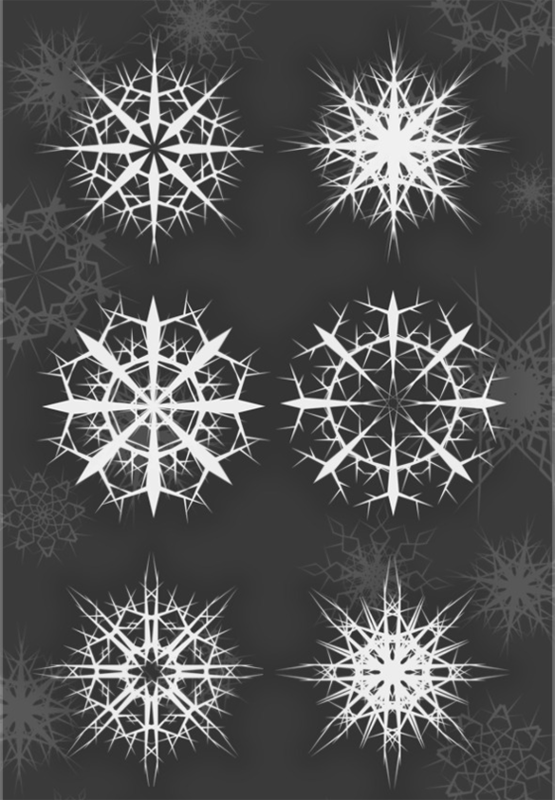 Download this pack of premium vector based snowflake brushes and create a fantastic and cool snowy graphic. This pack consists of 24+ brushes which you can customize by changing color and size conveniently. 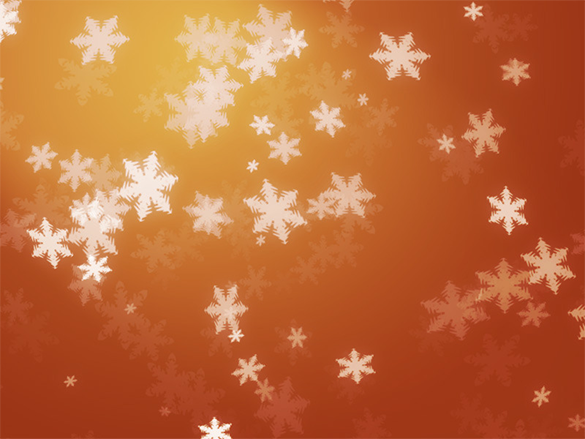 Give a try to these fully vector premium snow brushes and create stunning designs easily. 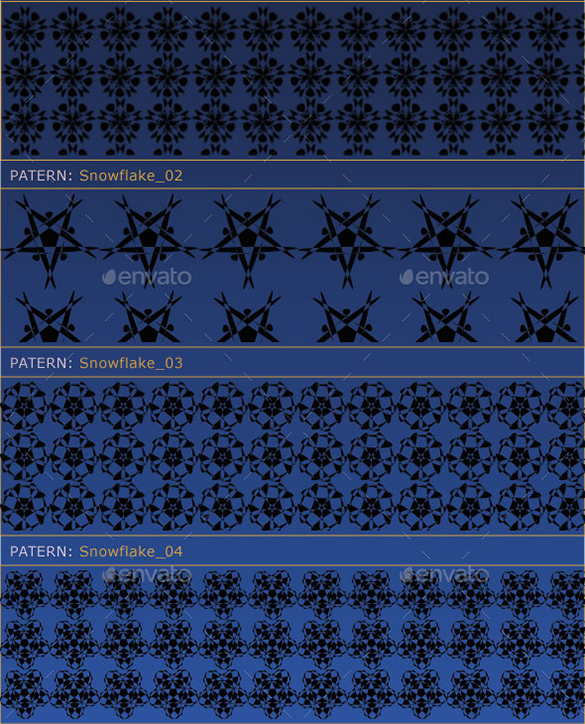 This pack of 20+ abstract free snowflake brushes is your one stop destination for meeting your need of snowy design creation elements. These brushes are compatible with Photoshop CS and can be customized as per your unique design requirements. Download now. 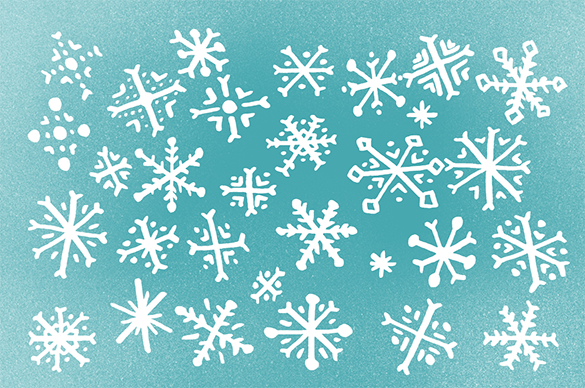 Go creative with this premium stylized snowflake brush pack consisting of 16+ brushes. The whole pack carries patterns, vectors and brushes that can be customized in terms of scale, effect, stroke, fill and gradient. So make your design stand out with these snow brushes. 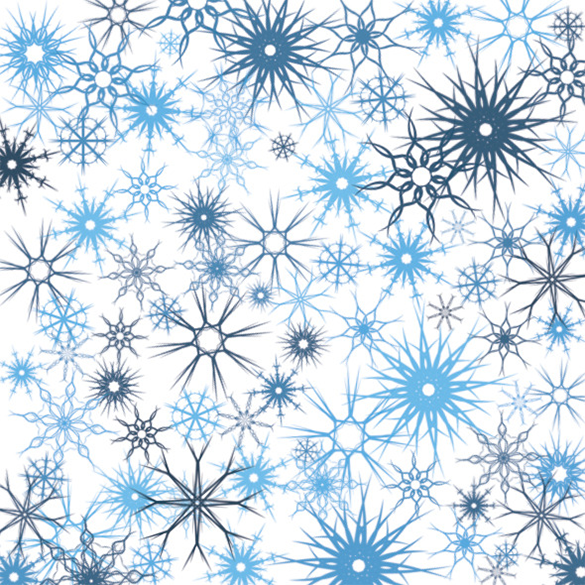 Try this 20 snowflake brushes pack and add seamless effects and textures in your design. 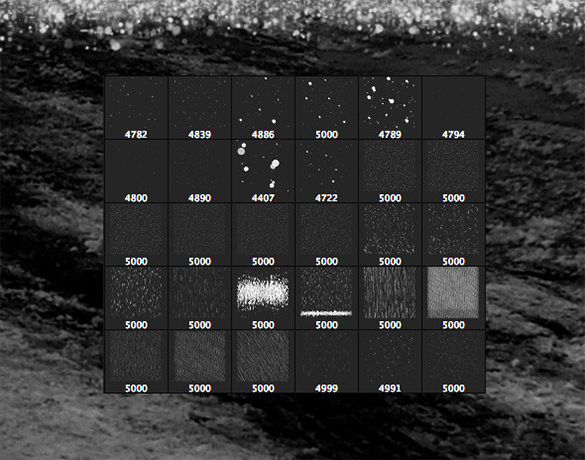 This whole pack consists of customizable brushes ideal to make your design snowy. 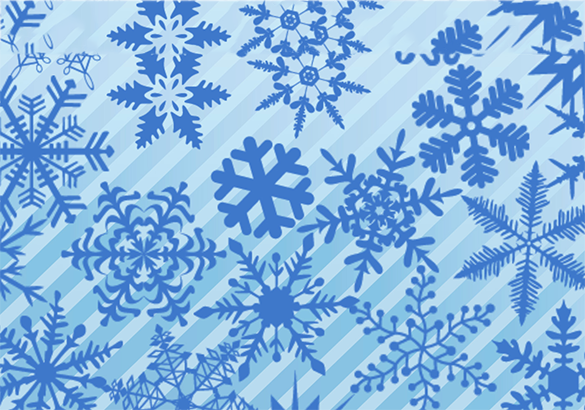 Get this pack of snowflake brushes downloaded and create super cool winter designs quite easily. Go for this pack of 30+ snow decoration brushes with 2000px resolution designed to help designers and illustrators add effects, texture and patterns into their winter and snow based design. 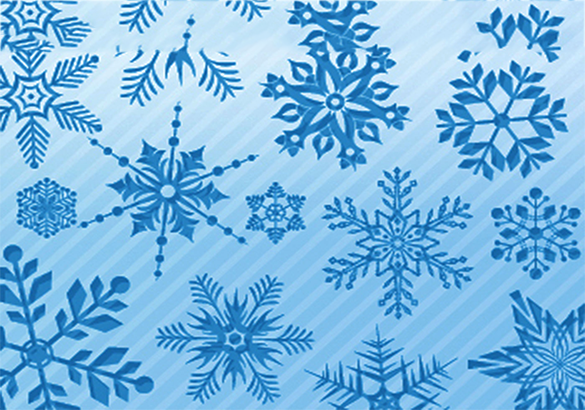 If you want to give snowy appearance to your design then this pack is the finest option for you. 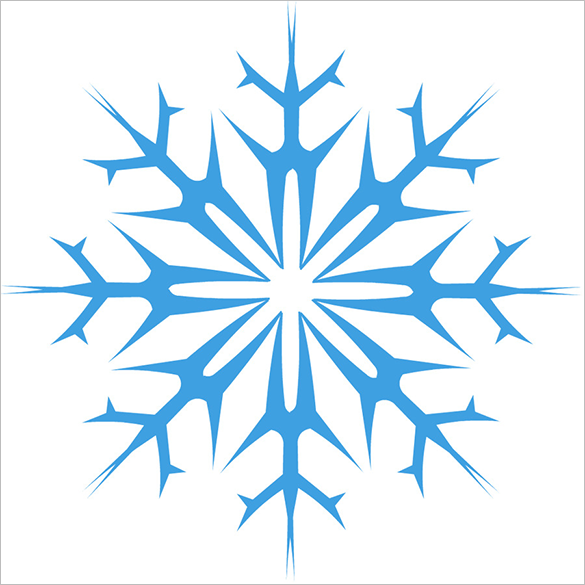 It can add that cold effect and winter feeling when using this brush into anything you applied it, having the snowfall present, just be informed that this brush only shows the snow images, simple yet can add upshot wherever you apply it. 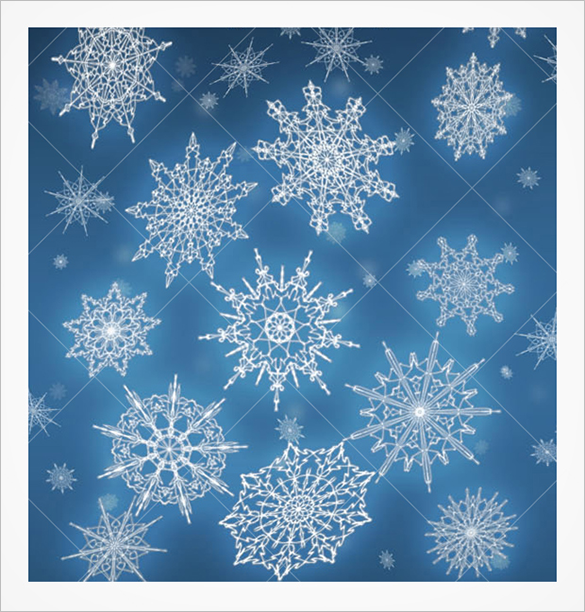 All the above mentioned snow brushes are top options for you to get used in your designs. These not only add special snowy effects to your design but also help you create a fantastic and stunning design that can reflect the beauty of nature and seasons especially winter. So download any of these brush packs and add special effects to your designs easily.